MasterClasses include Secrets of Caribbean, Mexican, Greek and Spanish cuisine while new tours visit spice studios, markets and a Biodynamic Farm. This December, the most luxurious ship ever built, Seven Seas Explorer, will make its North American debut in the cruise capital of the world, Miami, and set sail for its inaugural Caribbean season. For the 10- and 14-night Caribbean sailings this winter and spring, Regent Seven Seas Cruises is developing new classes for the Culinary Arts Centre on-board and new Gourmet Explorer Tours at select ports of call. Caribe! : This class celebrates the spices, ingredients and distinctive flavours of the Caribbean. Guests will produce delicious local specialties, such as Bermudian Ginger Beer, that they can replicate at home to bring back fond memories of their journey across the Caribbean. 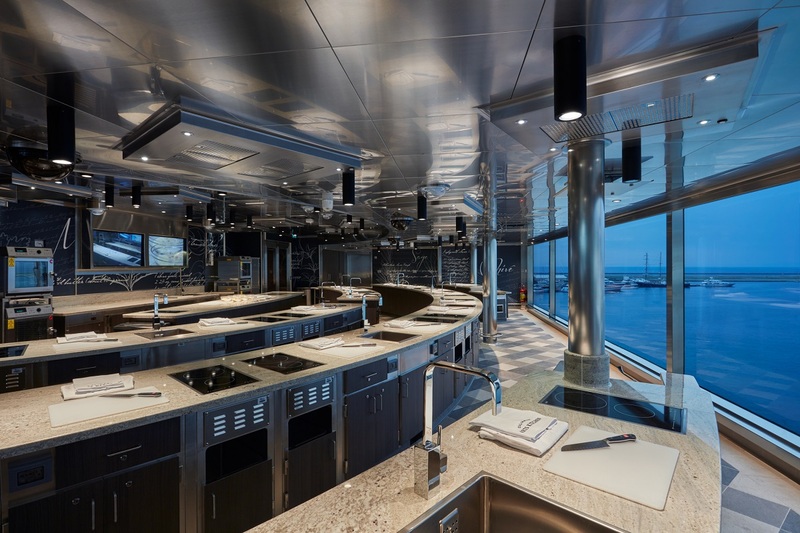 Further enhancing the curriculum offered at the Culinary Arts Kitchen, Regent Seven Seas Cruises is developing new Gourmet Explorer Tours for the Caribbean season which allow guests to explore the destinations through its epicurean offerings. Tours are accompanied by the chef instructor from the Culinary Arts Kitchen along with a local guide, often a chef, with intimate knowledge of the region’s agriculture, wine and cuisine, to add an extra layer of authenticity to this immersive culinary experience. St. Lucia Spices Cooking Studio: St. Lucia is one of the most revered spice islands of the Caribbean and on this exclusive Gourmet Explorer Tour guests will learn why. Guests will taste the subtleties of St. Lucian cuisine with dishes served al fresco on a terrace with stunning views of the sea. Following lunch, guests visit the bustling open-air Castries Market, where farmers have sold locally grown fruits, vegetables and spices for nearly 100 years. St. John’s Market Visit and Cooking Demo: The journey begins with a chef-led tour through the colourful market located in the centre of downtown St. John’s. Guests will be able to see and taste the island’s local fruits, including the famous Antiguan black pineapple. After working up an appetite, guests will arrive at a charming retreat owned by renowned local chef, Chef Jacquie. She will teach guests how to make the island’s signature dish, a cornmeal dish similar to polenta called fungie. Regent Seven Seas Cruises is the only line to offer free unlimited shore excursions in every port-of-call in every destination. Gourmet Explorer Tours are offered as part of the Regent Choice shore excursion programme, designed for intrepid guests wishing to delve deeper into a region’s culture and history. The Gourmet Explorer Tours for the upcoming Caribbean season are priced at a nominal $109 per person, while the classes at the Culinary Arts Kitchen are available for $89 per person. For more specific itinerary details or for general information about Regent Seven Seas Cruises, guests can call 02380 682 280, visit www.RSSC.com, or contact a professional travel agent.